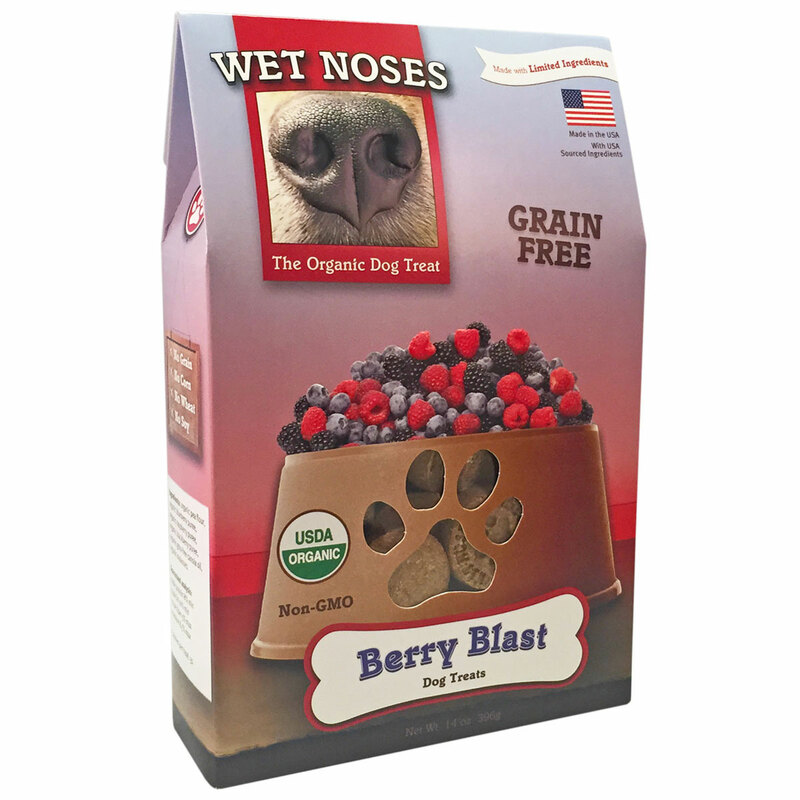 Wet Noses Organic Dog Treats - Grain Free Berry Blast contain no wheat, corn or soy. These USDA Organic Certified treats are human grade, limited ingredient, and Non-GMO Project Verified. No wheat, corn, soy, or dairy - No artificial anything! Look Who's Happy™ Farm'n Fresh are made with naturally raised poultry and duck, Farm’n Fresh treats bring a taste of the farm in every bite. Each treat is full of natural flavors and beech wood smoke smell.